"As an investor I have a passion for 'Quality' companies"
This ethos underpins the Investec UK Equity Income Fund, managed by Blake Hutchins, which focuses on high quality businesses that are able to invest for future growth – even in challenging market conditions. 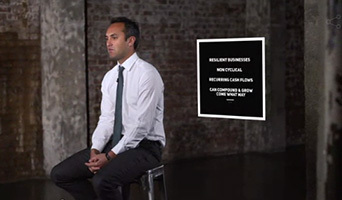 In the below article and video series, Blake talks to Citywire about his investment philosophy and process, and looks back at how he has managed the Fund since inception in January 2012. 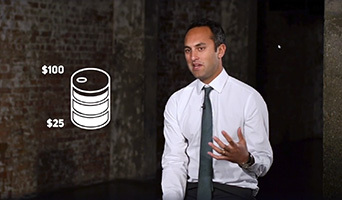 In this series of videos, Blake outlines the Quality criteria – or hallmarks – that he looks for in companies, how he identifies positive change in businesses and picks out three prominent macroeconomic events since the Fund launched nearly 4 years, explaining how it was able to cope with them. To mark the third anniversary of the Investec UK Equity Income Fund, portfolio manager Blake Hutchins talks to Citywire and recounts how he has managed the fund through a challenging market environment. In the three years since the launch of the Investec UK Equity Income Fund we have seen unusual conditions in the realms of politics, economics and markets. To name but a few challenges, investors have had to contend with the ripple effects of Britain's vote to leave the EU, an unpredictable oil price thanks to a combination of Opec cuts and rising shale production – and of course historically-low interest rates, which have only now begun their ascent after sitting at record lows for nearly a decade. 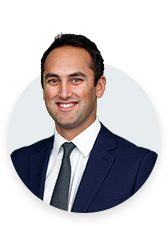 However a quick now and then comparison of the companies in manager Blake Hutchins portfolio belies this tumultuous backdrop – two thirds of the companies that featured in the fund at launch, are still there today. For Hutchins this clearly demonstrates what he and the team set out to achieve; find good quality companies with a good runway for growth. We buy a company in the hope of holding it forever ,he says. This quality approach is the cornerstone of the fund, but in addition, sometimes circumstances at a micro or macro level provide change opportunities from which a quality investor can also capitalise. This makes engaging with companies and understanding what's driving management decision-making even more vital. Our Quality investment team members attend more than 100 meetings a year with companies to ensure their strategies and capital allocation decisions are aligned with shareholder interests and the fund's mandate to deliver a sustainable income stream to its investors. We look at three scenarios that have played out since the fund's launch that illustrate the importance of engaging with companies, understanding how they generate cash through the cycle, and how they can use that cash to fund sustainable dividend growth. The oil price had long been supported by the commodities super-cycle, with China's construction boom doing most of the heavy lifting. However back in 2015 when questions arose over how this rapid urbanisation was being funded, China’s debt overhang came into sharp focus, sending commodity prices tumbling. But it wasn't just about China, the arrival of US shale added fuel to this fire too. As Robert McNally, energy consultant and adviser to President George W Bush, puts it in his book Crude Volatility which chronicles the history and future of oil prices, We are going to be unpleasantly surprised by chronically unstable oil prices’ – an assertion reflecting the rise of shale production which has rendered Opec unwilling or unable to control the market. With Opec's power ebbing, the lifetime of Hutchins fund has seen oil prices fluctuating between $28 and $65 a barrel, producing similar volatility for most oil-related equities. How then, has a company that depends on this very industry not just survived, but thrived, in the Investec UK Equity Income Fund? That company is Rotork, the market-leading actuator manufacturer. It operates in any market where the flow of gases or liquids needs to be controlled, making it a vital component in the energy pipeline. Hutchins was drawn to the stock for what he describes as its ‘mission critical’ characteristics. He's reminded of the BP Deepwater Horizon explosion in the Gulf of Mexico in 2010 which turned out to be the largest marine oil spill in world history. A report after the disaster stated that had the engines on the rig been fitted with automated combustion inlet shutdown valves instead of manual brass ones, the catastrophe could well have been averted. Rotork is a well-established provider of such precautionary technology and has a good reputation in the actuator market. It also provided tools in the aftermath to fix the rig. Emphasising the investment case, Hutchins says: Actuators are so important, but are very cheap in the context of an overall exploration project so it’s rare they are scrimped on - or at least they certainly won't be again. So despite being exposed to the volatility of the oil price at a sector level, this is a company that can withstand shocks, which is why Hutchins increased exposure to the company when the oil price fell in the first half of 2017. They get hit off the back of price movements but they've stayed in business, he says, adding: They've stayed profitable and cash generative which means they've been able to sustain their dividend and even grow it through difficult times. We don't just invest in stocks that have no economic sensitivity. But for those that do, we ensure they're in a position to grow their dividend across the cycle. 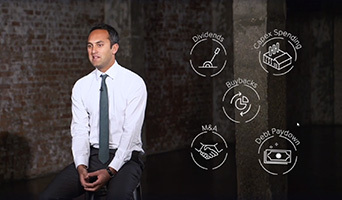 A combination of easy money and a weak outlook can trigger M&A activity on a large scale – for better or worse. With 40 businesses in 20 countries, Halma provides safety products to protect critical processes in industrial facilities. This covers valve safety systems (like Rotork), pipeline corrosion monitoring and pressure release devices. It also makes emergency sensors and fire systems that protect landmark buildings across the world. They don’t raise equity to do these acquisitions, they use cash flow which is something I like. I don’t like to see companies having to go back to the market to finance growth, Hutchins adds. The April 2015 UK Budget saw the most radical changes to private pensions in the UK for a generation. Dubbed pension freedoms by David Cameron’s government, the reforms allowed anyone aged 55 and over to take their whole pension pot as a lump sum, paying no tax on the first 25% and the rest taxed as if it were a salary at their marginal income tax rate. But retirees weren’t the only ones boosted by the new measures. As the UK’s leading pension provider, Hargreaves Lansdown came in for somewhat of a windfall too. Given the company’s capital light business model and dominant position in this structural growth market, exposure to Hargreaves Lansdown had already been gained in the fund, however the pensions freedoms provided an additional long-term kicker to growth for the stock, as Hutchins explains. ‘The UK savings market is a growth area as defined benefit pensions are closing – and on top of this there are new freedoms. So Hargreaves Lansdown is very well placed, it’s probably the fastest growing company in the fund. We’ve seen it increase its assets by about 15% a year. He says the really attractive thing about Hargreaves Lansdown is that it can grow rapidly and still sustain its dividend due to the fact that it is very capital light. They’ve got their platform so they don’t have to go and build a factory - and the beauty of that is they understand that if they have cash flow they may as well return it to shareholders as a dividend. Past performance is not a reliable indicator of future results, losses may be made. The value of investments, and any income generated from them, can fall as well as rise.